Approximately a 1000 journalists from across India and nations abroad pledged their commitment to work towards ensuring a clean and free-flowing Ganga River and access to improved drinking water, sanitation and hygiene (WASH) for all in history’s first Media Social Responsibility Declaration. 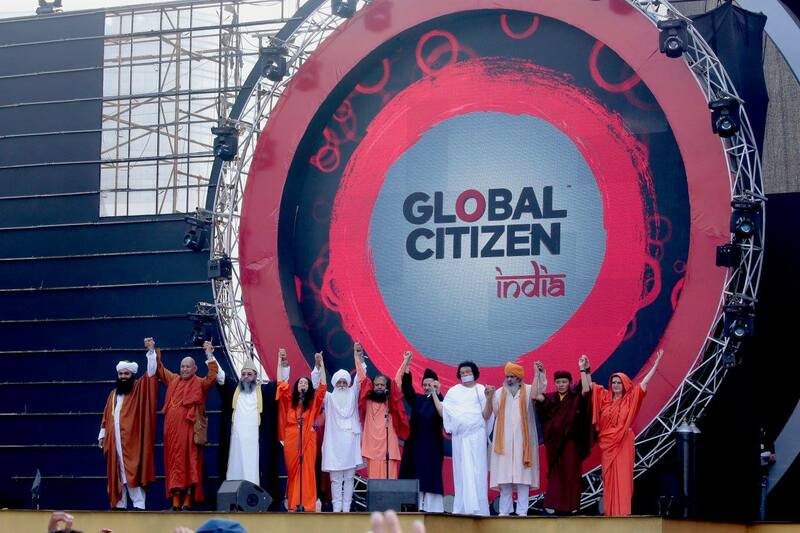 The historic Declaration was presented at the event by GIWA Co-Founder Pujya Swami Chidanand Saraswatiji to H.E. Shri B.L. Joshi, the Hon’ble Governor of Uttar Pradesh (which has a population of about 200 million people) and to Shri Harish Rawat, the Respected Minister for Water Resources, Government of India*. The gathered journalists, as well as HE Shri B.L. Joshi, Shri Harish Rawat and Pujya Swami Chidanand Saraswatiji and other respected dignitaries spontaneously took to their feet and raised their hands in a dramatic pledge of support for the Declaration. The Declaration urges specific and immediate actions from India’s Central and State Governments to preserve the sanctity and cleanliness of the River Ganga and its tributaries, which are responsible for the drinking water for some 500 million people, and to enable all people to have access to proper WASH. The journalists acknowledged the crucial responsibility that the media bears in the national and international pursuit of keeping vital water sources, especially life-giving rivers, free-flowing and unpolluted.